Set in a post-apocalyptic world, Nostalgia 3100 seeks to capture mankind’s return to the now inhabitable planet they once called home. The series follows astronauts as they explore the vacant yet vibrant landscapes that were once all for their keeping. They are mere visitors now. As nature continues to soldier on, mankind’s unwillingness to change and adapt has ultimately cost them their place on this abundant planet. Inspired by New York City’s thriving urban vegetation, Sharan sought to investigate the micro worlds that exist all around us while simultaneously outlining nature’s resilience in even the most unforgiving conditions fashioned by humankind. 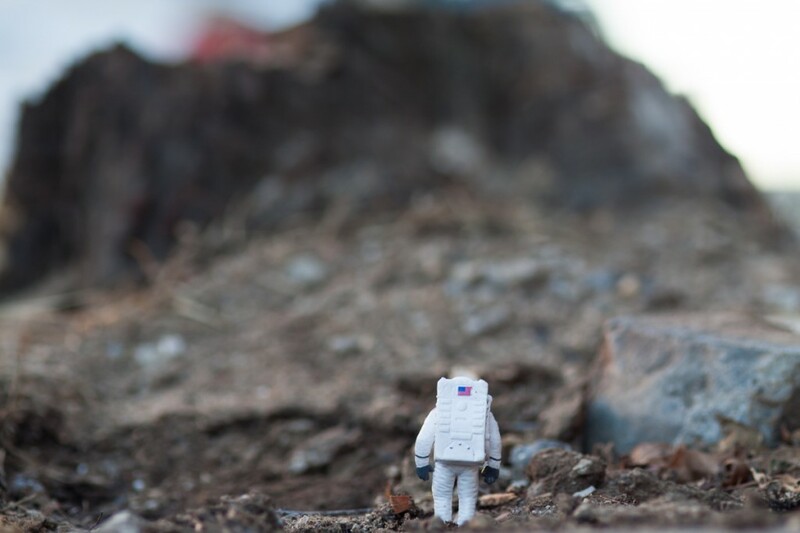 Armed with a DSLR, 100mm Macro lens and 3 astronaut figurines, Sharan set out on his quest of bite-sized urban exploration to bring these micro environments to life. All the pictures from this series were taken in urban settings around New York City that would ultimately mimic life-sized natural environments through the photography process.